The U.S. House of Representatives postponed all votes this week because of the “severity of the winter storm in the D.C. area,” according to a notice sent to lawmakers. Dubbed “snowzilla,” the storm deposited nearly two feet of snow over the course of two days—the fourth highest total in Washington, DC, since record-keeping began in 1888. The Senate could vote on a bipartisan compromise bill to renew child nutrition programs in the next few weeks; the House has yet to take up child nutrition reauthorization, but may do so next month. The Senate bill largely preserves the current guidelines for healthy school meals, expands the farm-to-school program, enhances the summer food program, and provides an extra snack for kids in child care settings—all NEA priorities. We continue to push for clarification that training for food service personnel is to be conducted during paid working hours. In addition, we are very concerned that a proposed change in verification requirements could cause some students to lose eligibility for school meals and impose a significant burden on school districts at the same time they are implementing the new ESEA law. Click on the “take action” button and tell Congress to protect the guidelines for healthy school meals, improve training for school food service professionals, and strengthen programs that help kids eat when school is out. 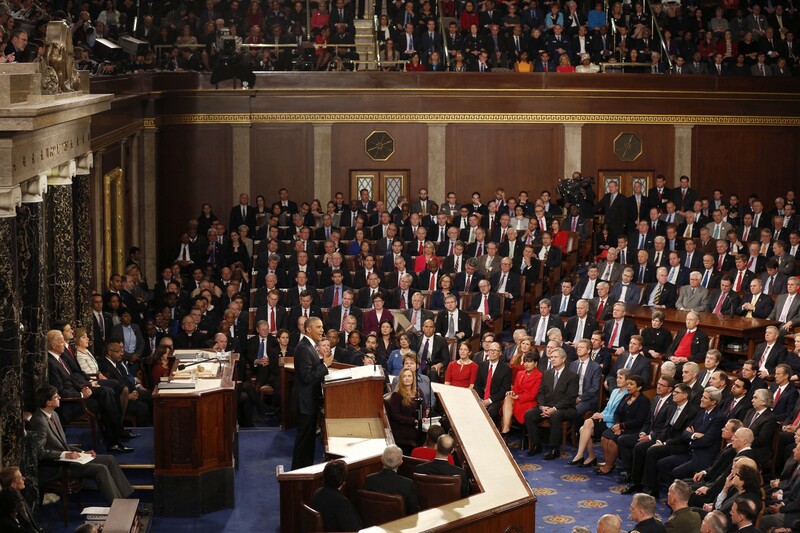 President Obama will release his FY2017 budget proposal on Feb. 9, followed by the House Republican budget resolution before the end of the month. The budget will help set the stage for what may be an active appropriations process this year, as Republican leaders in both chambers press to pass all 12 bills funding the government. NEA will be pushing hard for more money for education and health programs, especially for the students most in need. Despite small targeted increases in some education programs, the FY2016 increase in Labor-Health-Education was less than half the average increase for other non-defense programs. After adjusting for inflation, education funding for disadvantaged students is 10 percent below FY2010 levels due to years of budget caps and sequestration, according to a new report by the Center on Budget and Policy Priorities. Click on the “take action” button and urge Congress to provide a larger allocation for the Labor-HHS-Education funding bill so that we can increase investments in programs benefiting children. The Senate Agriculture Committee unanimously passed a bipartisan compromise bill to renew child nutrition programs on January 20. The measure largely preserves the current guidelines for healthy school meals, expands the farm-to-school program, enhances the summer food program, and provides an extra snack for kids in child care settings—all NEA priorities. We continue to push for clarification that training for food service personnel is to be conducted during paid working hours and are very concerned that some students could lose eligibility for school meals due to a proposed change in verification requirements, as well the potential for a significant new burden on school districts at the same time they are implementing the new ESEA law. The full Senate could vote on the measure in the next few weeks; the House has yet to take up child nutrition reauthorization, but may do so next month. Click on the “take action” button and tell Congress to protect the guidelines for healthy school meals, improve training for school food service professionals, and strengthen programs that help kids eat when school is out. Many individual educators were among those who answered the U.S. Department of Education’s call for comments on implementing and regulating programs under the Every Student Succeeds Act (ESSA), the successor to No Child Left Behind. NEA also submitted comments this week, asking the Department to provide guidance in particular on pending transitions from current law to the new one, as well as focusing on its proper role under the language of the statute. More than 250 comments on ESSA were submitted before the January 21 deadline. Check them out here. Representative Nita Lowey (D-NY) for her letter urging House Budget Committee Chairman Tom Price (R-GA) to resist GOP efforts to slash funding for education and other discretionary programs in 2017. “An FY17 budget resolution that reneges on enacted discretionary spending levels would send a clear and unmistakable signal that the Republican majority continues to support confrontation and brinkmanship, rather than regular order,” said Lowey. President Obama for proposing to restore year-round Pell grants. The proposal could help nearly 700,000 students in the coming year, providing them with an additional $1,915 on average to pay college bills. NEA President Lily Eskelsen García testified January 11 at the U.S. Department of Education’s first hearing on the Every Student Succeeds Act (ESSA). She applauded “kicking off the implementation process so soon,” but also stressed the importance of taking the time to ensure deep engagement of all stakeholders, like educators. “This kind of monumental transition will require deep collaboration among multiple stakeholders, some of whom are not used to working together, and making sure more voices are at decision-making tables. None of us should be seeking a shortcut in this collaboration.” Garcia also reminded policymakers that NEA fought for and won a paradigm shift in which the new law places student learning – not testing – at the center of education decisions. The signing of ESSA into law creates an enormous opportunity for states and local districts to close opportunity gaps to ensure that a zip code does not determine a child’s education. We encourage the Department to use an open and transparent process as they create their regulations. The two open hearings and initial comment period should just be the beginning of the discussion. We encourage the involvement of educators in the process because we know when educators speak, students win. The effective date of ESSA provides for 18 months of collaboration and discussions at the state and local levels to have conversations about what the state accountability systems should look like including what indicators should be included. The federal regulatory process should not take away from that robust opportunity for the development of next generation accountability systems. States and locals should have the maximum flexibility available by statute to show what they can do to help students succeed. And for more information visit NEA’s ESSA implementation website. programs that help kids eat when school is out. From Capitol Hill to the classroom, your voice AND your membership matter. NEA thanks all 617,250 of our cyber-lobbyists and extends a special thank you to the 50 who sent the most emails to Congress in 2015, listed below. Senator Elizabeth Warren (D-MA) for inviting NEA member Alexis Ploss to be her guest at the State of the Union address. Alexis has spoken eloquently to members of Congress about the need to make college more affordable, including reducing student loan debt. 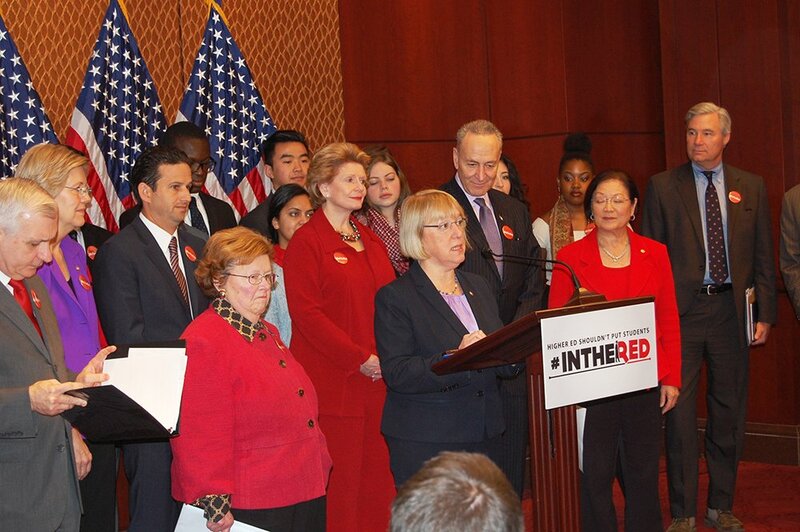 Senate Democrats for launching the “In the Red” campaign to bring greater attention to the issue of rising student debt. It will feature a prominent social media push (#InTheRed) and expected legislation with solutions to tackle the increasing cost of higher education.